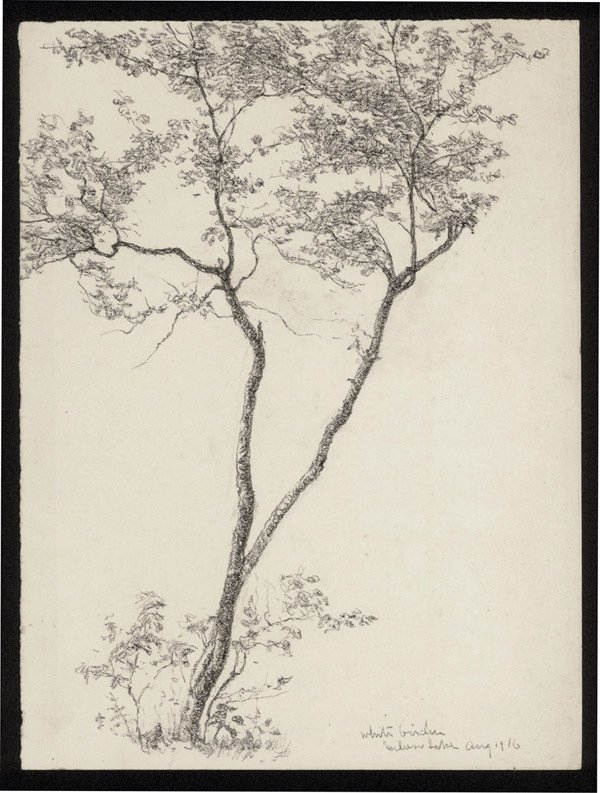 Pencil drawing of white birches by Dexter Dawes, 1916, Silver Lake, measures 11 x 8 1/4 inches. 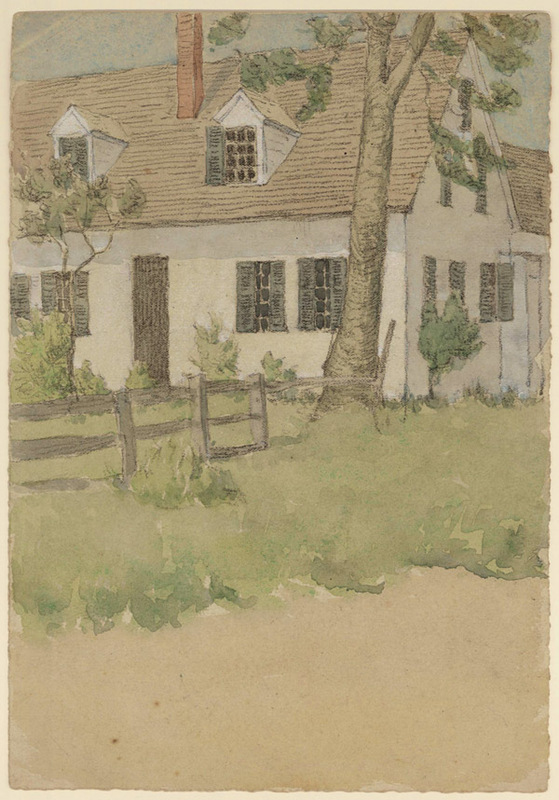 Title and date on lower right. 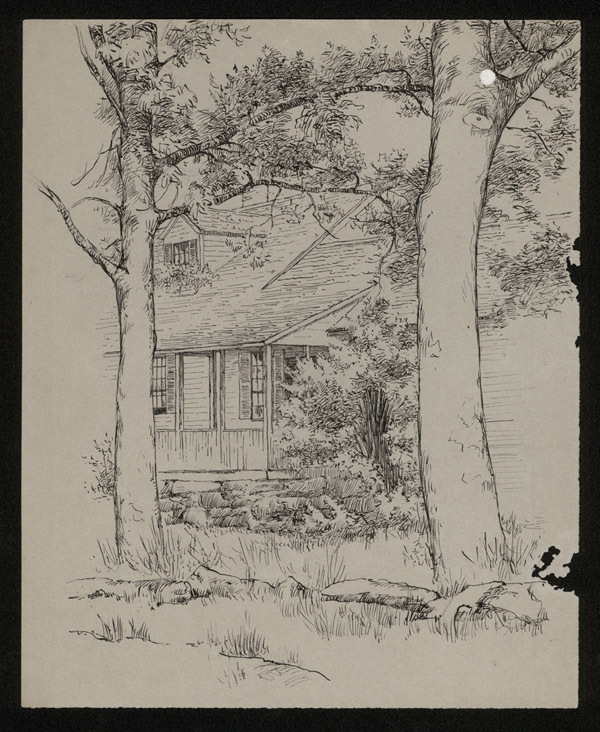 This pen and ink drawing, by Dexter Dawes, measures 10 3/4 x 8 3/4 inches. 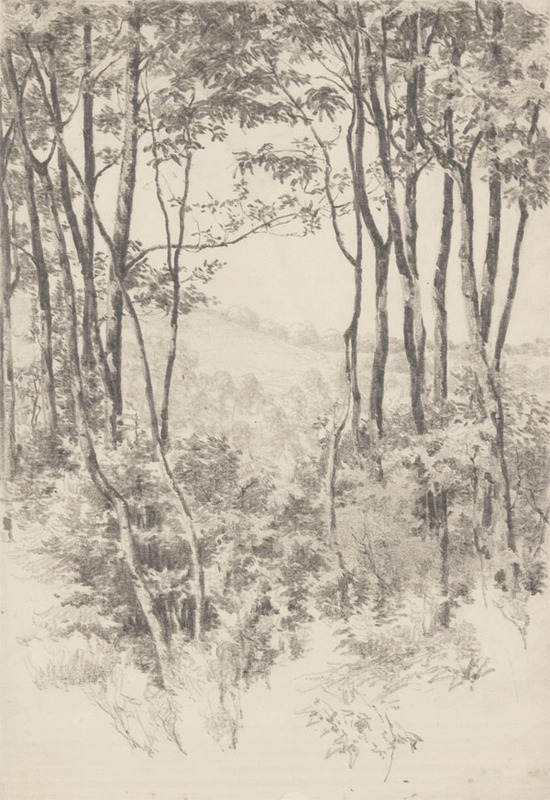 A very nice pencil drawing of a distant meadow viewed through a shaded grove of trees by Dexter Dawes. It measures 11 x 7 5/8 inches, on a bi-fold sheet of medium weight paper. 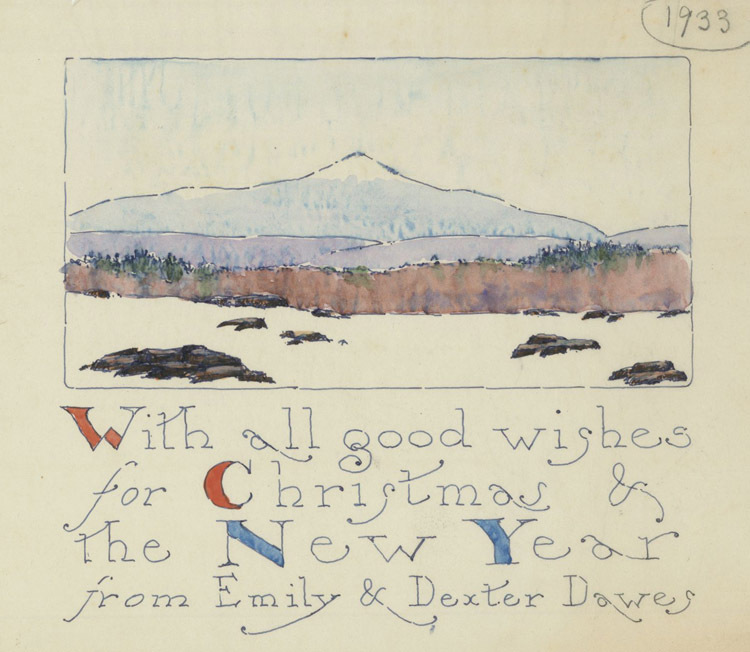 Dawes spent many summers in the Marlboro, NH area drawing and painting the incredible natural beauty that surrounded him.